Male. 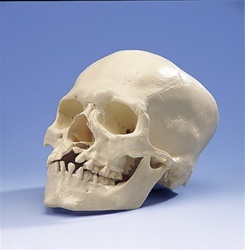 Severe malformation of the left skull half. The one-part skull has 29 teeth. Natural cast.